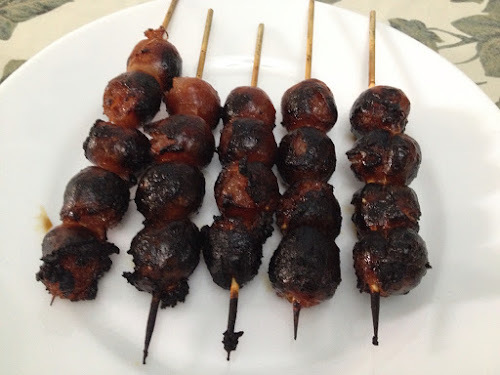 He grills the best liempo! 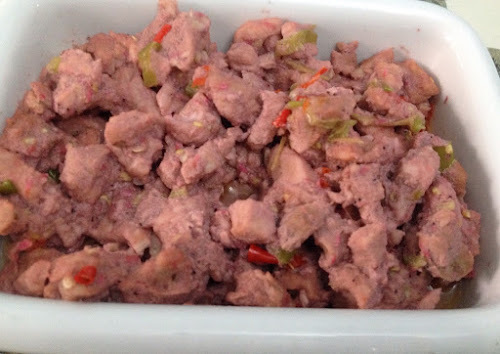 They also brought Bicol Express! Extremely spicy!!! 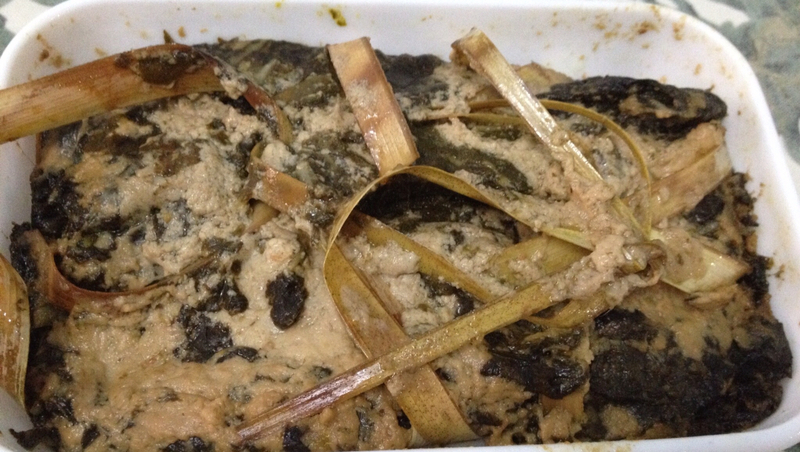 I loved the Pinangat na Laing from Bicol! 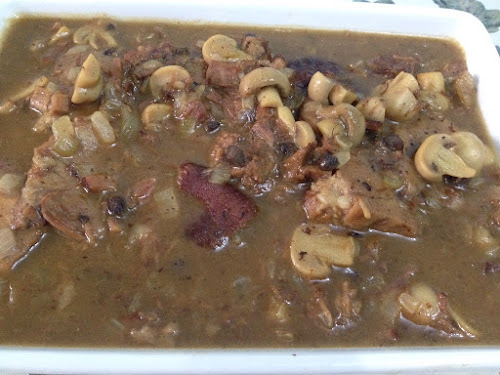 I cooked the Beef Kalitiran with mushroom sauce. I also asked Sherman to grill the Cebu Chorizo!!! 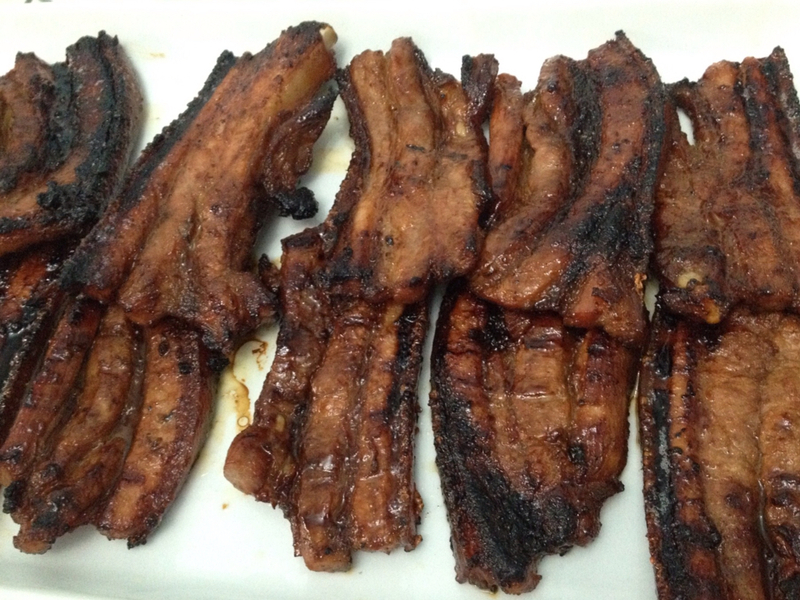 It tasted so much better than the fried version. 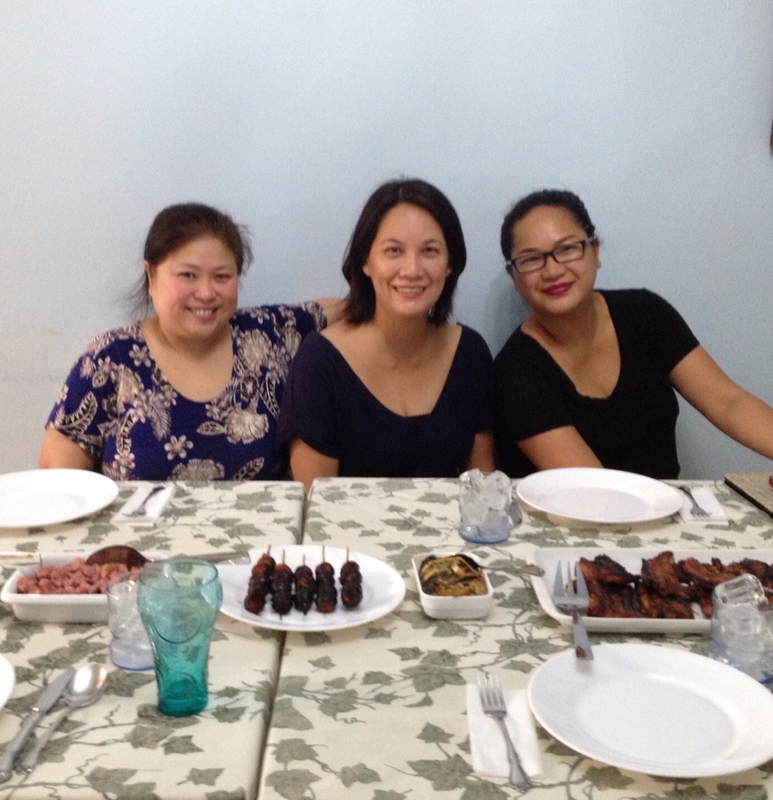 Our guest was Tricia, Jing's sister. 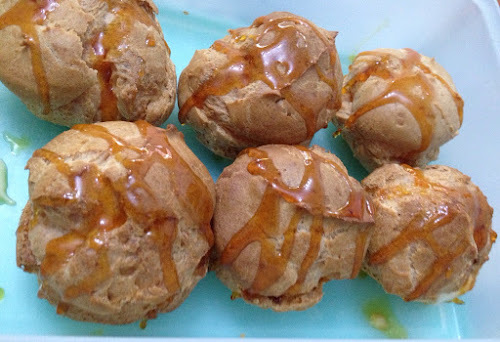 Dessert was my homemade cream puffs! Sorry Mariger! We ate your share. She was supposed to join us but she is taking anti- allergy meds. It makes her groggy. But..... Do not worry! 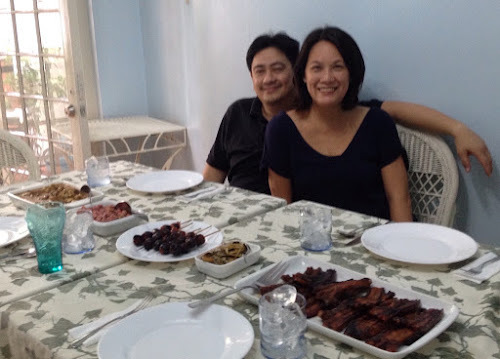 We will have more ihaw-ihaw lunches! I used to have a pastry shop, Brent's Mom! I specialized on different flavored cream puffs.